The last time Dustin Poirier (pictured) fought an Irishman, things didn’t end so well for him in a TKO defeat to Conor McGregor. Now Poirier is going to have to fight the last man to beat McGregor. On Wednesday, it was announced Poirier will co-headline UFC Fight Night 77 opposite Joseph Duffy. The October 24 event takes place inside 3Arena in Dublin, Ireland. 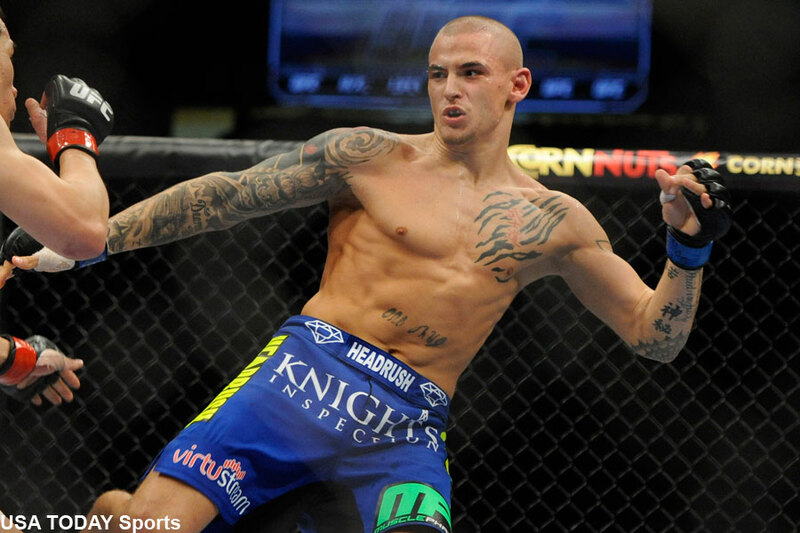 Since losing to McGregor, Poirier has found his stride back up at the lightweight division. “Diamond” has rattled off two straight wins after leaving the featherweight class, most recently TKO’ing Yancy Medeiros in June. Duffy will be riding a four-fight winning steak into the tango. “Irish Joe” has posted two consecutive first round finishes since joining the UFC. No word if UFC Fight Pass, Fox Sports 1, Fox Sports 2 or some combination of the three will make the event available for live viewing in America. No other bouts have been reported for the lineup.